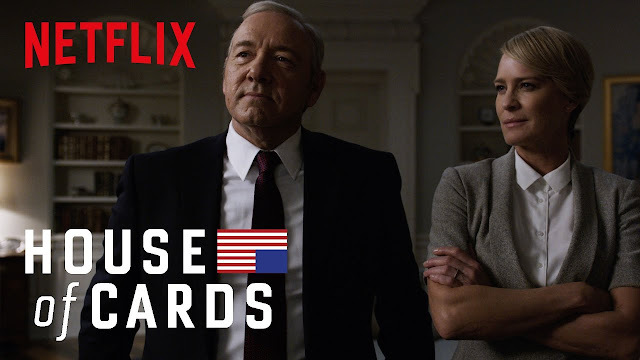 Home / NETFLIX PRESENTS / "House of Cards" Season 6: Robin Wright is the Woman-In-Charge! "House of Cards" Season 6: Robin Wright is the Woman-In-Charge! The political-thriller web television series, House of Cards will be having its 6th and final season in the entertainment web series provider, Netflix coming this Fall season. With the exit announcement of Kevin Spacey who plays Frank Underwood on the said web series, Robin Wright, playing as Claire Underwood will now be the woman-in-charge for the show. However, we just don't know when will Claire Underwood be hailed as the new "chief" because we learned that Kevin Spacey still managed to tape up to the 7th episode before he was fired from the show. On the eight episode perhaps, Robin Wright will be the show's main frontrunner. House of Cards also received six Golden Globe nominations, and two wins. The historic series has received 11 Screen Actors Guild nominations with two wins; an AFI Award; four Writers Guild Award nominations, with one win; two BAFTA nominations; four Producers Guild Award nominations; two Directors Guild Award nominations; and a Peabody Award, among other accolades. You can still catch up with the whole series on Netflix before it shows on the Fall series season in the US. Please catch House Cards on Netflix, by clicking here. See the teaser trailer of House of Cards below.